Left-handers of the world rejoice! 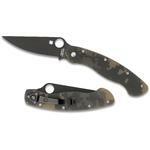 After a long hiatus, a lefthanded version of Spyderco's best-selling Military Model is once again available. 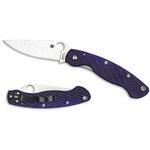 It includes all the defining features like the satin finish, G10 handle Military, but with a mirror-image configuration designed for left-handed users. 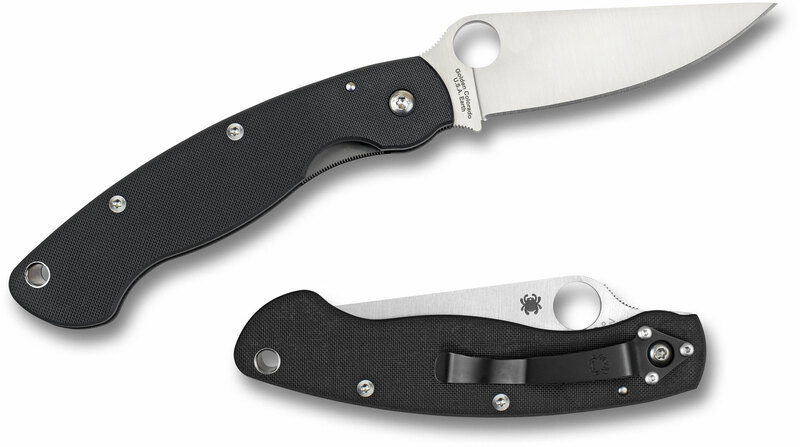 Designed with the needs of deployed service personnel in mind, the Military Model exemplifies Spyderco's motto of "Reliable High Performance." Its premium CPM S30V stainless steel blade features a modified clip point profile and a full-flat grind for an exceptional balance of strength and cutting performance. The Military Model also features an enlarged 14mm Trademark Round Hole for one-handed opening—large enough to use even while wearing gloves. All versions of the Military Model feature open-handled construction for reliability and easy maintenance and include contoured stainless steel pocket clips positioned for right-side, tip-down carry. I've always loved the Millie design, still have the first one I bought back in 96 when they first came out. 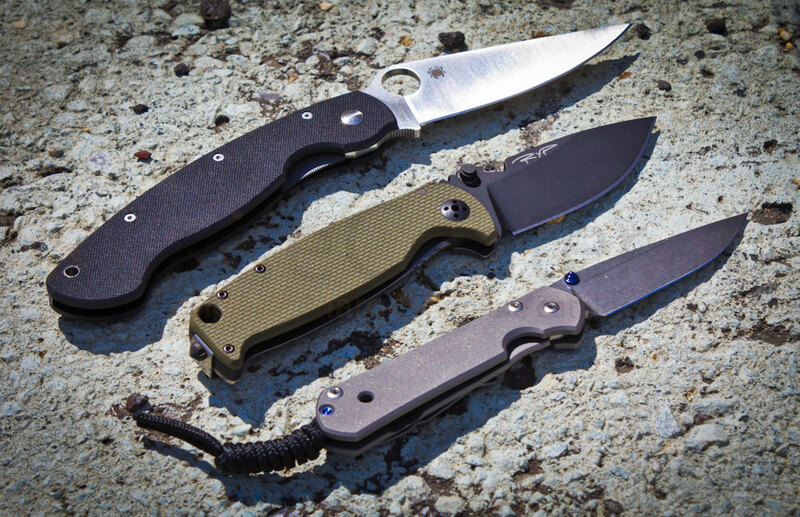 Also have an all black S30V, a left hand S30V and a titanium handled S30V model. Will be adding more in the future. I typically carry two all the time, a right hander and a leftie. Works well for those of us who are ambidextrous. Great knives. All around use. Not recommend if all you do is open boxes. Initial opening of the knife using the spidey hole didn't pride enough grip bc of the position based on the swivel point. Quickly remedied by using a zip tie. Blade is sharp as to be expected from the blade profile. Quick stroping after a day of use typically brings back the edge, depending. Maybe a little large for some as an edc, but I prefer to be able to do any task with the blade I have. 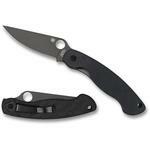 Hey, I wanted to share "Spyderco Military Left Handed Folding Knife 4 inch S30V Satin Plain Blade, Black G10 Handles" with you from KnifeCenter.